George Graham came to London at a fairly young age. In 1688 he became apprentice to Henry Aske for seven years. He was admitted as a freeman of the Clockmakers’ Company upon completing his indentures in 1695 and immediately entered the service of Thomas Tompion, thus beginning a life-long friendship, severed only by the death of Tompion in 1713. In 1696 he married Tompion’s niece Elizabeth. A few clocks and watches during the last years of Tompion’s life are signed “Tompion & Graham”. After the death of Tompion, Graham continued the business at the same address, at the sign of Dial and Three Crowns, on the corner of Water lane, in Fleet Street, London. In 1720 he moved to a new house, The Dial and One Crown, at the other side of the same street, closer to Fleet Bridge, and next door to the Globe and Duke of Marlborough’s Head Tavern, where he remained until his death. 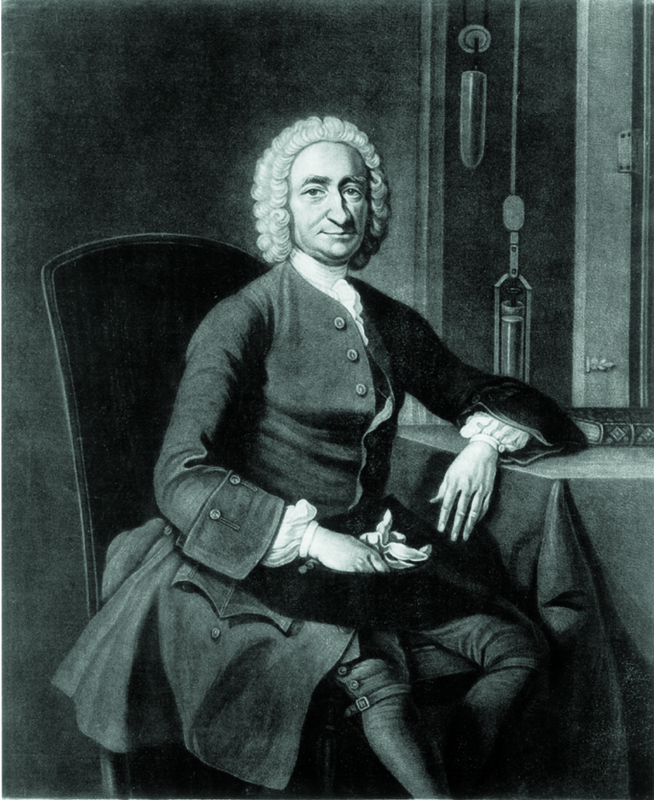 Graham was elected as Fellow of the Royal Society in 1721 and chosen as a Member of the Council of that body in 1722. He contributed 21 papers on various subjects to the Philosophical Translations. He became Master of the Clockmakers’ Company in 1722. After the expiration of Booth, Houghton and Tompion’s patent, Graham devoted some thought to the cylinder escapement. In 1725 he improved it to practically its present form, and after 1726 introduced it into all watches. Securing to himself the monopoly of any of his discoveries was foreign to his disposition. The reputation which English horology acquired on the Continent during the 18th Century was due in no small measure to Graham’s candid treatment of his brethren in the art in other countries. In answer to enquiries, Julien Le Roy received from Graham one of his watches with cylinder escapement in 1728 and French horologist’s generous avowal of its superiority is worthy of his acknowledged greatness. He invented the dead-beat escapement in 1715, the Graham device, a type of wall chronograph in 1720 and the mercury pendulum in 1726. The combination of these seventy-four clocks of all types, numbered from 600 to 774. As against this he made nearly three thousand watches. No.4369, still signed Tompion & Graham, cannot therefore be later than 1713 and No.6474, the highest number known up to now, carries the hallmarks for 1751, the year when Graham died. Like Tompion, Graham had a separate series for repeaters, ranging from 402, hallmarked for 1713, to No.965, which must be the last one, since No.968 is signed by Graham’s successor Thomas Colley. Graham’s watches were much forged, even in his lifetime, but this may generally be detected since he not only marked the number in the usual place, on the back plate, together with his name, but also on the pillar-plate, under the dial, and on the underside of the clock. Graham died in 1751 and was buried in Westminster Abbey.